Expert care for your home and office! If your work is more demanding than ever and you are struggling to find enough time to clean, we are here to help – cleaning chores aren’t going to do themselves, after all! That’s one job you are better off leaving to Fast Cleaners – your specialist cleaning agency in London. We offer professional cleaning services for all your needs and requirements. No more countless hours wasted in backbreaking work on weekends and holidays, when you just want to relax or spend time with your loved ones. We are here to ensure that your cleaning chores are quickly taken care of by proven experts in the field. Take the stress out of cleaning your entire home or office. We work with experienced cleaners who can guarantee the complete success of the job. Get in touch with us on 020 3907 7263 to see just how easy and quick you can book our services or fill out the form on our contact page. At Fast Cleaners, we offer domestic and commercial cleaning services. 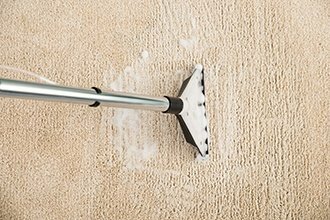 As a company with a history dating as far back as 2001, we are proficient in specialist methods such as carpet and upholstery steam cleaning. There is no area of your home or office that our cleaners will find difficult to clean. We guarantee thorough and efficient cleaning, which you will love. Don’t hesitate – contact us and learn more about our affordable prices and special combo deals and offers! Why is our cleaning agency in London the best in the area? Our fees are competitive and reasonable, and you can expect fair pricing all the way. Help yourself to our online calculators for a free quote – click here. Our cleaners are well-trained, armed with the latest equipment to ensure superb cleaning results. Place your trust in professionals with years of experience. All of our cleaners are fully vetted and insured to guarantee you peace of mind. We operate within the M25 London metropolitan area. We take great pride in the positive feedback of our clients and always try to improve our services. Our cleaning company has developed a portfolio of comprehensive services for your home or office. 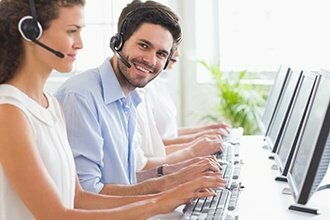 Our customer service team is friendly, and professionally, they answer any questions and queries you have on 020 3907 7263. Choose Fast Cleaners Ltd – the best cleaning agency in London. If you’re not based in the capital, we might go outside the M25 area. We cover surrounding cities: Kent, Surrey, Middlesex, Essex, Dorset, Cambridge, Oxford, Bournemouth, Chelmsford, Bristol, Southampton, Birmingham and Milton Keynes. Thank you very much for an excellent carpet cleaning service yesterday. First of all well done on the cleaner! She did a fantastic job last week, the place has never looked/smelled so good.